Under Executive Order B 2012-001, Governor Hickenlooper extended the RAQC and expanded its Board to include a representative from the Regional Transportation District. Appointments made under Executive Order as needed to fill open positions. John Putnam has been appointed Chair of the Council by the Governor. To view Board Member biographies, click on their name from the drop-down menu above. The Honorable Herb Atchison is Mayor for the City of Westminster. Mayor Atchison serves on the Board of Directors for the Westminster Legacy Foundation, the Board of Directors and as Chairman for the Denver Regional Council of Governments (DRCOG), the Board of Directors for the North Area Transit Alliance (NATA), serves on the Metro Visions Issues Committee (MVIC), the U.S. 36 Mayors County Commissioners Coalition, the Executive Committee for the Metro Mayors Caucus. He also serves on the Urban Drainage and Flood Control District Board of Directors. Mayor Atchison serves on the Regional Air Quality Council as a representative of local government in the Denver metro region. His term expires April 30, 2019. Kathleen Bracke is the Manager of GO Boulder, the transportation planning program within the City of Boulder. Previously, she served as the transportation planning and special projects director for the City of Fort Collins. Kathleen is a current board member with 36 Commuting Solutions, as well as a participant in the US36 Mayors & Commissions Coalition. Her background is in transportation with over 20 years of experience in both Colorado and California. Ms. Bracke serves on the Regional Air Quality Council as representative of the region’s transit management agencies. Her term expires April 30, 2019. Robert Broom is a Director with the Regional Transportation District. He is a former city councilman and city manager with the City of Aurora. As a councilman, he was a member of the Infrastructure and Operations Policy committee and vice chair of the Management and Finance Policy Committee. Prior to his role with the City of Aurora, Mr. Broom was the Vice President of Municipal Finance for GVC Capital, LLC. He has since retired from this profession. He has served as a member of the DRCOG Board of Directors, the National League of Cities’ Finance, Administration and Intergovernmental Relations Steering Committee and the Board of Directors for the Aurora Economic Development Council. Mr. Broom serves on the Regional Air Quality Council as a representative with broad public interest. His term expires April 30, 2020. Frank Bruno is the Chief Executive Officer for Via Mobility Services and served on Via’s board of directors from 2010-2014. He has 37 years of experience in general management in the public, private, and higher education sector with a focus on facilities, infrastructure, public services, development and transportation. Mr. Bruno has served as Boulder city manager, as well as senior executive positions at CU-Boulder, Western Disposal, and Boulder Community Health. He has served on many local nonprofit volunteer boards including Foothills United Way Serving Boulder and Broomfield Counties, Impact on Education, Humane Society of Boulder Valley, Boulder Innovation Center and Boulder Economic Council. Mr. Bruno serves on the Regional Air Quality Council as an individual with transit expertise. His term expires April 30, 2020. 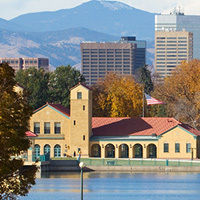 Elizabeth Garner is the alternate for the Colorado Department of Local Affairs (DOLA). Ms. Garner is the State Demographer with DOLA. She has been with DOLA for 11 years. She and her team produce population forecasts for the state by county and study the population characteristics and trends impacting the State. 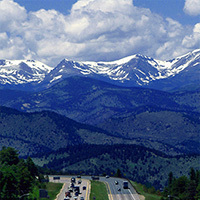 Irv Halter Jr. is the Executive Director of the Colorado Department of Local Affairs (DOLA). Mr. Halter is a retired Air Force major general. In that capacity, he was the Vice Director, Operations, Joint Staff, the Pentagon, Washington, D.C. where he supported the Director of Operations in assisting the Chairman, Joint Chiefs of Staff, in his duties as principal adviser to the President and Secretary of Defense. Mr. Halter serves on the Regional Air Quality Council as a representative of DOLA, where he oversees numerous departments that address a wide range of essential services to citizens and local governments. The Honorable Gerry Horak is a Mayor Pro Tem for the City of Fort Collins. He was elected four times to represent the citizens of northwest Fort Collins and served on the city council from 1981-1994. Mr. Horak provided leadership in open, responsive, accountable and fiscally responsible government. He currently serves on the National League of Cities Energy, Environment and Natural Resources Steering and Policy Committees. He also represents the Fort Collins City Council on the Platte River Power Authority, Poudre Fire Authority, the Larimer County Open Lands Advisory Board, and the North Front Range Planning Council. Mr. Horak provides business development and management services to science and technology companies. Mr. Horak serves on the Regional Air Quality Council as representative from Larimer County. His term expires April 30, 2019. Curt Huber served as the Executive Director of the American Lung Association of Colorado for 12 years until his retirement two years ago. During his career in nonprofit health administration he has also served as an Executive Director for the National MS Society and the American Diabetes Association, as well as Western Area Director for the National MS Society, VP of Development for the American Lung Association of the Southwest, and early on (1979-1983) managed the granting process for the DRCOG Office on Aging. Through his work with ALA, he has particular interest in transportation and alternative fuels as they relate to air quality. Mr. Huber serves on the Regional Air Quality Council as a member to represent the conservation community. His term expires April 30, 2021. Jack Ihle is the Regulatory Strategy Director of Xcel Energy. 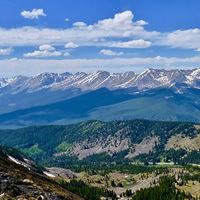 Mr. Ihle is involved in the implementation of the Colorado Clean Air – Clean Jobs Act and has worked on various environmental policy and compliance teams. Prior to his work at Xcel, Mr. Ihle served as the Associate Director of IHS Cambridge Energy Research Associates. Mr. Ihle serves on the Regional Air Quality Council as a representative of stationary sources. His term expires April 30, 2020. The Honorable Elise Jones is a Boulder County Commissioner. Ms. Jones is the former Executive Director for the Colorado Environmental Coalition where she managed a staff in three field offices and helped her staff to develop and implement policy and strategies for campaigns on wilderness, water, energy, and smart growth. She has also worked with the League of Conservation Voters Educational Fund, 1000 Friends of Oregon, and National Wildlife Federation. Ms. Jones is a former chair of the Denver Regional Council of Governments (DRCOG) and Metro Area County Commissioners (MACC), and currently serves as a member of DRCOG, MACC, the U.S. 36 Mayors and Commissioners Coalition, the Statewide Transportation Advisory Committee and the Regional Transportation Committee. Commissioner Jones serves on the Regional Air Quality Council as a representative of local government in the Denver metropolitan region. Her term expires April 30, 2018. Michael Lewis is the Executive Director of the Colorado Department of Transportation (CDOT), where he is charged with leading the department in planning for and addressing Colorado’s transportation needs. Mr. Lewis oversees 3,300 employees statewide and an annual budget of approximately $1.4 billion, guiding an organization committed to becoming the best DOT in the country for its customers. Prior to this role, he served as CDOT’s deputy executive director/chief operating officer since May 2015. Before coming to Colorado, he was the director of Rhode Island’s DOT and board member of Rhode Island Public Transit Authority, Rhode Island Turnpike and Bridge Authority and Rhode Island Public Rail Corporation. Mr. Lewis is a past president of the American Association of State Highways and Transportation Officials (AASHTO), and is a member of the National Academy of Construction (NAC). Mr. Lewis serves on the Regional Air Quality Council as a representative for CDOT. 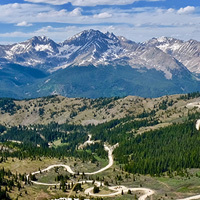 Vanessa Mazal is the Colorado Program Manager for the National Parks Conservation Association, where she oversees state operations, campaigns and initiatives. Previously, she worked at the Gates Foundation, where she managed a portfolio of communications and public engagement grants on international development and health issues. Prior to that, she produced independent research on collaborative watershed management for the US Environmental Protection Agency and Washington State Department of Ecology, and worked on her dissertation that focused on governance issues in the Upper Rio Grande basin. She consulted for the Trust for Public Land, where she helped launch a working lands conservation program, and worked for Conservation Strategies, a political consulting firm in the Pacific Northwest. She serves on the Regional Air Quality Council as a member of public to represent the conservation community. Her term expires April 30, 2020. The Honorable Jackie Millet is Mayor for the City of Lone Tree. She is a board member of the Denver Regional Council of Governments (DRCOG) and a member of the DRCOG Metro Vision Issues Committee, Colorado Municipal Committee Policy Committee, Douglas County Water Resources Authority Board and Douglas County Youth Initiative. Prior to her position as councilmember, Ms. Millet was a planning commissioner for Lone Tree, a consultant for a water district and a planner with Denver Water. Ms. Millet serves on the Regional Air Quality Council as a local government representative from the Denver metropolitan region. Her term expires April 30, 2018. Brian Payer is a Senior Consultant with Sphera Solutions (formerly IHS), a global information company offering expertise in energy, economics, geopolitical risk, sustainability and supply chain management. Previously, he worked at URS as a chemical engineer. Mr. Payer is on the board of directors of CO-LAB, and is a TEDxMileHigh Sustainability Director, as well as a member of the Denver Metro Chamber’s Colorado Energy Coalition. Mr. Payer serves on the Regional Air Quality Council as a representative of the general business community. His term expires April 30, 2020. Debra Perkins-Smith is the alternate for the Colorado Department of Transportation (CDOT). Ms. Perkins –Smith is the Director of the Division of Transportation Development (DTD) at CDOT. In this capacity she is responsible for oversight of long range multimodal transportation planning and grant administration, environmental policy and programmatic improvements as well as project review and compliance. She has over 30 years of experience in transportation and environmental planning working with a large number of private sector engineering firms on large projects. Scott Prestidge is the Director of Communications and Public Affairs with the Colorado Oil & Gas Association, where he is responsible for external media and communication efforts, as well as managing the political and policy initiatives at the state and federal level impacting Colorado’s oil and gas industry. Prior to his work at COGA, he was the energy industry manager for the Metro Denver Economic Development Corporation (EDC) and managed the Colorado Energy Coalition and its committees. Mr. Prestidge has also served as the metro regional director for Senator Mark Udall. He serves on the Regional Air Quality Council as a representative of the general business community. His term expires April 30, 2018. John Putnam is a Managing Partner with Kaplan Kirsch & Rockwell, LLP. Mr. Putnam represents primarily public entities in litigation, rulemaking and counseling regarding environmental and transportation law. He has represented public and private sector clients on a wide range of other litigation, regulatory and compliance matters associated with highway transportation, wetlands, airport compliance, land use, natural gas processing and large power generation facilities. Mr. Putnam is a past member of the City of Boulder’s Environmental Advisory Board, and Boulder Renewable Energy and Energy Efficiency Working Group. He serves on the Regional Air Quality Council as a member of the public with appropriate transportation experience. His term expires April 30, 2018. 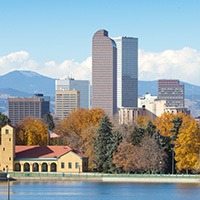 Doug Rex is the Executive Director of the Denver Regional Council of Governments (DRCOG), where he oversees DRCOG’s regional programs and planning for the nine-county Denver metro region. Mr. Rex joined DRCOG as the director of transportation and planning operations in 2013, where he was responsible for directing and coordinating regional transportation planning in the 2.7-million-person Denver metro area. Mr. Rex is a member of the Regional Transportation Committee and an alternative on the State Transportation Advisory Committee. Mr. Rex serves on the Regional Air Quality Council as a representative of DRCOG. His term expires April 30, 2019. The Honorable Robert Roth is a Councilmember for the City of Aurora. He is the Director of Business Development and LEED Accredited Professional at IES Commercial Inc., which is an electrical and specialty contracting company serving industries across the U.S. As a Councilmember, he is appointed to the Water Policy Committee, the Management and Finance Policy Committee, and the Public Safety, Courts and Civil Service Policy Committee. Mr. Roth serves as a Board Member, Aurora Economic Development Council; Board Chair, Denver Regional Council of Governments; Member, Associated General Contractors of Colorado Board of Directors; and Member, US Green Building Council. He serves on the Regional Air Quality Council as a local government representative from the Denver metropolitan region. His term expires April 30, 2020. Martha Rudolph is the alternate for the Colorado Department of Public Health and Environment (CDPHE). Ms. Rudolph serves as the Director of Environmental Programs for the CDPHE, providing oversight to the Air Pollution Control, Hazardous Materials and Waste Management, Water Quality Control and Environmental Health and Sustainability divisions. An experienced environmental attorney, she served for 14 years in the Colorado attorney general’s office, where she represented the Air Pollution Control Division, the Hazardous Waste Commission and the Water Quality Control Commission. Rudolph has also been in private practice in Denver. Rudolph is an active member of the Environmental Council of States where she currently serves as the Vice President. Ms. Rudolph has also served as the Chair of the ECOS Air Committee and the Vice Chair of the ECOS Planning Committee. Jep Seman is a Principal and Cofounder of Corporate Advocates. He has transportation and energy law and policy experience as well as automobile law and policy experience. Mr. Seman has served on the staff of former U.S. Senator Gary Hart and as counsel to the U.S. Senate Committee on the Environment. Mr. Seman sits on the boards of the Colorado Petroleum Association, Warren Village Foundation, and the National Kidney Foundation. He serves on the Regional Air Quality Council as a representative of automotive-related businesses. His term expires April 30, 2018. Gregg Thomas is the Director of the Environmental Quality Division for the Denver Department of Environmental Health (DEH). Mr. Thomas has over sixteen years of meteorological and environmental experience in the fields of air quality, water quality, and climate change. Previously, he was an air, water and climate section manager with DEH where he was responsible for developing strategic planning for integration into local and state-wide policy recommendations. He serves as a local government representative from the Denver Metro area on the Regional Air Quality Council. His term expires April 30, 2018. The Honorable Casey Tighe is a Jefferson County Commissioner. He currently serves as chairman pro-tem for the Jefferson County Board of County Commissioners. He serves on the following boards and commissions: C-470 Corridor Coalition; I-70 Mountain Coalition; Jefferson County Economic Development Corporation Board and Executive Committee; and Jefferson County Transportation Action and Advocacy Group, Chairman. Commissioner Tighe was formerly the audit director for the Colorado Department of Transportation where he worked for 24 years. He serves on the Regional Air Quality Council as a representative of local government in the Denver metropolitan area. His term expires April 30, 2021. Bill Van Meter is the alternate for the Regional Transportation District (RTD). Mr. Van Meter has been employed at RTD since 1991, and was appointed to his current position as Assistant General Manager, Planning in 2010. He has over 25 years of experience in the transportation planning field, with extensive experience in public transit and roadway planning, managing multi-modal transportation studies, and FTA nationwide competitive New Starts grant funding process. Mr. Van Meter serves on the Denver Regional Council of Governments Board of Directors, the Board for Denver Bike Sharing, and he is active with the American Public Transportation Association. Bruce White is currently a Senior Vice President at High Sierra Water Services, LLC. He has over 30 years of experience in the oil and gas industry consisting of exploration, drilling, development and produced water processing. He is the co-founder of Conquest Water Services and Conquest Oil Company. Mr. White has served on a variety of boards and committees, including the Weld County Federal Mineral Leasing Board, Weld Energy Industry Work Group, Weld County Natural Gas Coalition, Weld County Smart Energy, Colorado Oil and Gas Association, Denver Julesburg Petroleum Association, City of Greeley Planning Commission, Upstate Colorado Economic Development Board and Development Action Partnership Board. He serves on the Regional Air Quality Council as a representative from Weld County. His term expires April 30, 2019.